The James/Samuel families during the filiming of a movie about the outlaws. Perry Samuel is in the center. Versions of the James brothers' murderous rampages and robberies throughout the Midwest are documented in articles, books and movies, often with conflicting details. But historian Cecelia Robinson, professor emerita at William Jewell College in Liberty, says there's one aspect of their story that's rarely told. Official records indicate Samuel was a stepbrother to the iconic James brothers, but it's impossible to know if there actually was a brotherly relationship at all. Understanding the nature of this relationship provides a window into the era of abolition in Missouri. The James family owned slaves and the brothers followed their family's sympathy for the slave-owning south. They both joined Confederate guerilla fighters when the Civil War broke out. According to handwritten census reports from the late 1800s, Perry Samuel is identified as the son of Dr. Reuben Samuel, the second husband of Frank and Jesse's mother, Zerelda. His mother is listed as Charlotte Samuel, one of the family slaves. His race is listed as "mu," shorthand for "mulatto," a term used at the time to indicate mixed race. Behind the James family home in Kearney, Missouri, there’s a small wooden cabin, a replica of one where the family slaves would have lived. Slavery was legal in Missouri before the Civil War. It was part of the southern culture small farmers brought when they migrated to "Little Dixie." Both the James and Samuel families were long-time slave owners. There is speculation that Zerelda and her first husband, Reverend Robert James, were given Charlotte and Ambrose as slaves for a wedding present in 1841. But without a written record, this becomes one of the many footnotes in the history of slavery that is impossible to confirm. Charlotte had two sons according to census data: Ambrose, presumably named after his father, and a much younger brother named Perry, born in 1869. Samuel was born into freedom, after the Emancipation Proclamation, Lincoln's address that ended the institution of slavery. 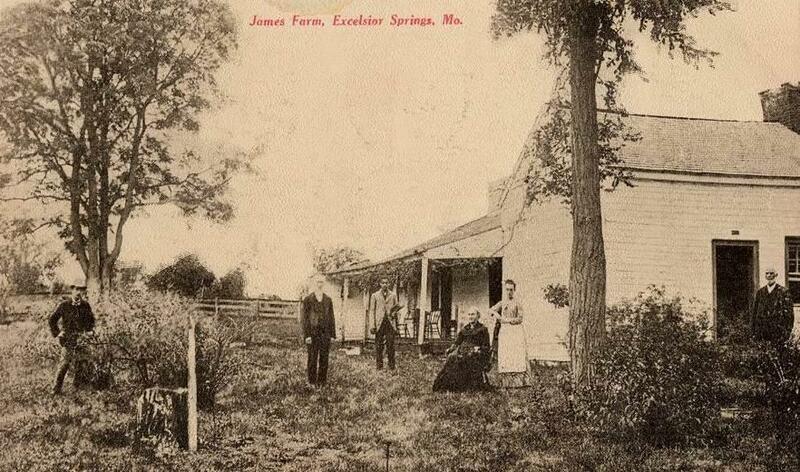 When Pinkerton detectives came to the James family farm in 1875 in pursuit of the James brothers (who were not at the house), they threw a firebomb into the home. It exploded, killing one of the Samuel boys and tearing off a part of Zerelda's arm. After the incident, some accounts suggest that Perry Samuel became more intimately connected to the family, reportedly serving as a lookout and saddling horses for the outlaw brothers when they needed to escape in a hurry. When Samuel's mother Charlette died, some say he stayed on the farm to help take care of Zerelda until she died. Dianne Mutti-Burke, a history professor at the University of Missouri-Kansas City and author of "On Slavery's Border: Missouri's Small Slaveholding Households, 1815-1865," says we'll never know the truth about Perry Samuel. There are conflicting accounts about who his father was as well as his relationship to the James and Samuel families. But she says it has everything to do with the Civil War. "It's complicated," says Mutti-Burke. "The 'lifting-up' of African Americans who stayed with their owners after the Civil War was reinforced during the late 19th and 20th centuries in part to suggest the Confederate cause was somehow OK."
She says there were those who stayed with their former owners for a host of reasons. Many didn't have any options. They had young children or were disconnected from their biological families. Some had been living and working alongside their former owners, even sleeping in the same quarters. But she says that should not sugar-coat the history of slavery in this part of the country. "I can tell you that slavery was no different in Missouri because there were fewer slaves per family," Mutti-Burke says. "The narrative that there was less violence, deprivation or abuse here than in the Deep South is simply not true." Amateur research historian Phil Stewart wrote an account called "The Slaves and Servants of the James Samuel Family" for the Jesse James Farm and Museum. It has no footnotes and can not be independently verified, but Stewart says Perry Samuel married Miss Littie Harris of Holt, Missouri, in 1893. After she died, Samuel "went back to the only home and family he had ever known, to the Samuels, where he remained as a servant and Zerelda's 'right arm' until he remarried in August of 1900." Stewart's account says Perry Samuel, his new wife Susie Willis and their daughters Dora and Allie lived in Liberty, Missouri. "Perry (worked) as a teamster for a flour mill in 1920," Stewart writes. He, his wife and their children, were all listed in the census as "mulattos." Many of Clay County's African Americans are buried at Fairview Cemetery, just south of downtown Liberty. Perry Samuel is among them, according to Michelle Cook, a Liberty native and amateur historian who’s been researching the history of Fairview. Another Liberty native, Shelton Ponder, knows this cemetery well. He can go directly to most of the graves even though he's legally blind. Historian Cecelia Robinson says Perry Samuel's story is an important part of the rich history of Liberty's African-American community. "I'm not justifying slavery, " she says. "But his story is a link to a community that has living ancestry in Liberty today. We have African-American families who've been in Liberty almost 200 years." While facts about Perry Samuel's role in the family have long eluded historians, Michelle Cook finds that link to the past helpful in understanding Liberty today. Laura Ziegler is a community engagement reporter at KCUR 89.3. You can reach her on twitter @laurazig or by email at lauraz@kcur.org.